Nursery rhyme themes make for great unique baby gifts. There is an endless list of possibilities and prices that you can find to complete a wonderful gift for any baby. From baby books, crib sheets, handmade rag quilts, stuffed animals, picture frames to rugs and lamps. The themes and characters in nursery rhymes can be adopted into virtually any gift. You can even assemble a number of gift items along with a package of diapers into a wonderfully creative diaper cake. A nursery rhyme baby gift can be as simple as a baby book of beautifully illustrated nursery rhymes to an elaborately assembled gift basket. You can create baby gift baskets with a single nursery rhyme to assemble a wonderful gift basket of all sorts of adorable items. Check out this "Teddy Bear Picnic" gift basket. Purchase a picnic style basket and assemble all these wonderful items. Then type up, print off or even use caligraphy to attach to the basket a copy of the "Teddy Bear Picnic" nursery rhyme. There you have a beautiful, fun and unique baby gift basket that started from a simple nursery rhyme. Let's look at assembling a "Hey Diddle Diddle" baby gift. Start with a moses basket and line it with a soft printed fabric that represents the rhyme or any number of characters in the rhyme. The print could be dogs, cats, cows, moon and stars, there are lots of options with this particular rhyme. Now add to it a whole assortment of baby items. Here's a list of all sorts of wonderful items you can add to the basket. Purchase colored cellophane, wrap your basket up and tie with a wonderful cloth ribbon. Printed ribbon makes it even better! Looking for unique nursery rhyme themed baby gift items? Grandma has designed some adorable unique gifts for not only newborns, but toddlers, preschoolers and even mom herself. I have commissioned unique hand drawn nursery rhyme graphics that are now special gift items just for my readers. Simply click on the link below to go to my own shop and enjoy some unique gift items. We are also offering incredible handmade nursery rhyme themed baby rag quilts. 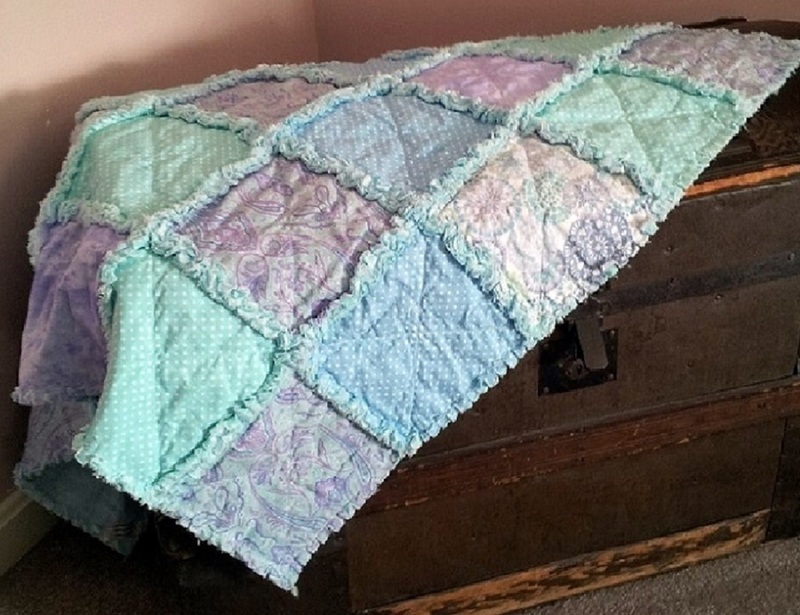 Each quilt is a one of kind creation that will easily become a family treasure. Check these out at Quilted Rhymes to find the perfect baby quilt for a gift or for your own little one. 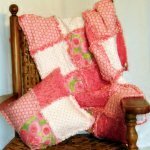 Nursery Rhyme Handmade Baby Rag Quilts - the most unique handmade quilts for that perfect shower gift! 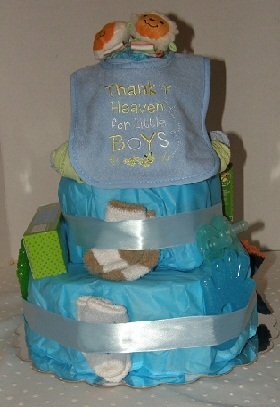 Diaper Cakes - great way to create a baby shower gift that doubles as baby shower decor! Delight us with the wonderful ideas you have had for a nursery rhyme themed baby gift! There are so many wonderful and creative ideas to share for baby gifts. Everyone is always seeking something a little more unique for those special little ones we all love. Tell us about some of your most creative baby gift ideas! We'd love to hear new ideas and ways to impress those mom's to be! What nursery rhyme theme did you choose?